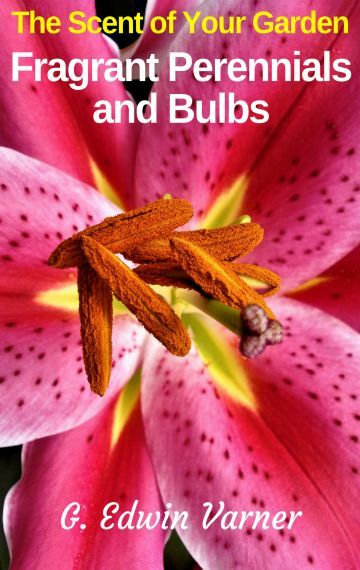 This ebook guide explores which common and rare fragrant perennial plants and bulbs first-time and experienced gardeners can grow in their gardens. This ebook is part of a series called The Scent of Your Garden. It is an updated and revised work of the descriptive catalogs G. Edwin Varner wrote for his successful mail order nursery which specialized in growing fragrant garden flowers. He adds humor (tries to) and interesting historical information about these plants. Perennials grow and bloom each year compared to annuals which live only one growing season. Many are easy to grow but need thoughtful planning where to plant in your garden so you can enjoy their floral and leaf fragrances for years to come. This ebook will help you decide which fragrant perennial plants and bulbs to raise in your flower gardens. They will provide you with plenty of smiles and envious admirers!